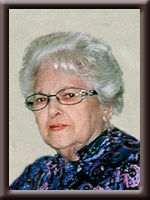 VEINOT – Mildred Ruth, 77, of Liverpool, passed away peacefully surrounded by her family in Queens General Hospital,June 30th, 2011. Born in Liverpool, she was a daughter of the late Jacob and Sarah (Fowler) Moulton. Mildred will always be fondly remembered as an excellent cook and she loved to bake.. She enjoyed time spent with her family and friends. She was a former member of the Liverpool Fire Fighters Ladies Auxiliary. She is survived by her husband of 59 years Esmond “Ted”; daughters: Merla Whynot of Liverpool, Susan Veinot (Kimberly Doggett) of Saint John, NB. Grandson Blair (Wendy) Whynot and great grandchildren; Ethan, Jeremy and Lindsay. She was predeceased by her sisters Amelia and Rosalie and her brothers Eric and Lester. Cremation has taken place under the direction of Chandlers’ Funeral Home, Liverpool. At Mildred’s request, there will be no funeral service. Friends are welcome to the home to greet family. Donations may be made to Queens General Hospital Foundation or the IWK. Online condolences may be made to www.chandlersfuneral.com. TO MILDRED’S FAMILY -I AM SO VERY SORRY TO HEAR OF HER PASSING! !MY HEART GOES OUT TO ALL AT THIS DIFFICULT TIME. Ted & Family – Our sincerest condolences. Our thoughts and prayers are with you all during these trying times. I have known Mildred for many years…it all started when I had Megan and she became like family to me….she spoiled my children…..she made my wedding cake…and we used to do ceramics together and sometimes play bingo..she was usually up to anything with in reason…i loved Mildred like my own mom….when i moved to Alberta i got to talk to her for the last time….condolences to Ted …Susan and Merla and also to my best friend Wendy…Blair..Ethan…Jeremy and Lindsay ….mildred was an awesome woman and i loved her baking…she was indeed the best….may God Bless You all hold on to the memories of her ….I know I will….R.I.P. my dear friend….love to you all. I am so sorry to hear of your Mom”s psssing Merla.I sure did enjoy my time with your Mom andDad out to Ten Mile Lake at the Bass Tournaments the last three years. God Bless you and the rest of your Family. Susan, Merla , Ted and families:I am so sorry for your loss. I will never forget your dedication to Mildred, especially in her last days, when it was the hardest for you all. Never doubt that she felt your love and presence with her. You made sure that her last wishes where fulfilled. She was much loved by you all. I witnessed the joy she experienced whenever any of you were with her. She was a loving and caring woman. As a nurse , I will always remember her sunny personality and greatly enjoyed caring for her. I hope that in time you will remember only the wonderful memories Mildred has left you. She left behind a strong, loving family…..be there for each other and know she is proud of each and every one of you. We have lots of fond memories. No more suffering, she is with the angels. We are so very sad to hear of Mildred’s Passing. I am so Thankful to have seen and talked to You and Mildred on Saturday in the store. May God Bless You All. If there is anything we can do, Please don’t hesitate to let us know. May she rest in peace. Sincerely: Francis and Peggy Payzant. Susan,Merla,Ted and family,So very sorry to hear about Mildred.Please know that we are thinking of you all.Cherish your memories as they will help you through this difficult time.R.I.P. Mildred. Ted,Susan,Merla,Blair and Family, I’ve known Mildred all my life. I remember, as a youngster, coming into the store every 5 min; going out to the camp; during hunting and fishing season because my dad was always at the house. I remember her always having a sandwich and potato chip on a plate ready for me. There are just so many great memories that I have of this great lady and I know that you share a lot more. My condolences to you all. Our sincere sympathy for your loss. I am Don Lohnes’ daughter, and know you were good friends years ago, and connected by the printing business. We are so sorry to learn of Mildred’s passing. We have fond memories of visiting with the two of you at the cabin and Mildred always had some freshly baked goodies to feed us.We will be in to see you Ted . She will be missed. Thinking of you at this difficult time.My sincere condolences. Mildred was a very special lady who was so kind to everyone.She will be greatly missed and I know that God has received another angel.We are here for all of you if you need us. Ted and family, sorry to hear of Mildred’s passing. Sincere Condolences to you and your family. Our sincere condolences. Mildred was a lovely lady! Sorry for your loss Ted, Merla,Susan and Blair. My thoughts and Prayers are with you at this time. Sorry to hear of Mildred’s passing. She will be certainly missed. Our thoughts and prayers are with at this difficult time. Dearest Susan, our thoughts and prayers go out to you and your family at this most difficult time. Dear ,Ted ,Merla and Susan. I was shocked to hear that Mildred passed away,I will always have fond memories of her,she was one of a kind with a heart as big as the outdoors,such a lovely person! God has gained an angel for sure.Please know i am thinking of you at this difficult time.Take care of each other and cherish the wonderful memories you have of her.May God bless you all. Ted , Merla ,& Susan ,so sorry to hear of Mildred’s passing, our thoughts and prayers go out to you. time my thoughts & prayers are with you all. Sorry for your loss. Mildred was a loving person. She had that sparkle in her eyes when you talked to her. I remember the times she would bring in treats and baked goodies when we worked at Stenpro. I know you will treasure her in your heart. I am sorry to hear of Mildreds passing. My thoughts and prayers are with you all. Our sincerest condolences to you and your family on the passing of your mother. We are keeping you in our thoughts and prayers at this difficult time. Our thoughts are with you Ted,Merla and Susan, Mildred was very kind to everyone she knew and could make you laugh when ever you met her. I’m sure she will be missed by everyone. I am very sorry to hear of Mildred’s passing. Mildred and my grandmother Maxine were very close friends. I have many memories of Mildred, especially visiting in Hibernia. My thoughts are with you at this difficult time. Our deepest sympathy for your loss. My thoughts and prayers are with you at this time. Very saddened to hear of Mildred’s passing. I remember our families visiting quite often . Those were good times.